We are always excited this time of year to make our annual donations to the great charities we support, and to thank our customers for helping us give back. Zuma was started with the dream of making a difference by helping others, but we couldn’t do anything without our caring, long-time loyal customers. Thank you for your support, and for helping us do good work! It’s very difficult to make a profit in today’s office supplies market, with the major superstores losing money, merging together (Office Depot/OfficeMax,) and creating crazy competition. We know we must work hard to provide great prices, fast shipping, and personal service to earn your business. We also know you have many choices on where to buy office supplies, so we are truly grateful for you shopping with Zuma. The V Foundation for Cancer Research is our #2 most popular charity. Since our inception, Zuma has donated well over half our profits to worthy causes. In fact the real number is over 80% of profits. Zuma has donated $44,070.44 to the charities we support in our first five full years in business. Most start-up companies take 3-5 years before they reach profitability due to upfront investment, and Zuma is no exception. However, we made the early decision to be true to our purpose, and donate a minimum of $5000 per year even before we were profitable. In truth, our profit and giving plans were to give back more by this time. But, we underestimated how difficult it is to start a business from scratch in an ultra-competitive industry like office supplies. We are blessed with great customers, awesome employees and wonderful vendors, so we know Zuma will continue to grow and hopefully make a difference as more people hear about our company. You can be a HUGE help! Social media is a fantastic and free way to help us reach new customers. “Like Us” on Facebook and “Follow Us” on Twitter. Then share our great offers with your friends and spread the word. We also promise to make you smile with funny and heartwarming posts you’ll want to share. 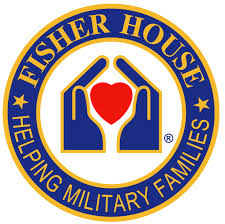 Fisher House is best known for a network of comfort homes where military families can stay at no cost while a loved one is receiving treatment. To help others who are in need and create joy! To add meaning to the work life of all Zuma employees. To educate shoppers about top rated, incredible charities who are truly making a difference. To be an example to other businesses, and encourage others to adopt a similar “giving back” model. To encourage our customers to volunteer time and support for their favorite charities. Should you have any questions regarding our charitable business model, the voting preferences of our customers, or just want to talk about giving back, feel free to email me at gpierce@zumaoffice.com or call 877-473-4097. Thank you for your business, and working together to DO GOOD WORK! Please Note: The charities we support are selected by Zuma staff and customer input, and do not reflect an endorsement by those charities of our company or our products. They are simply great organizations we believe in and support. This entry was posted in Office Supplies and Charities and tagged Do Good Work, Giving Back, Office Supplies Online, Zuma, Zuma Charities, Zuma Charity Support. Bookmark the permalink.